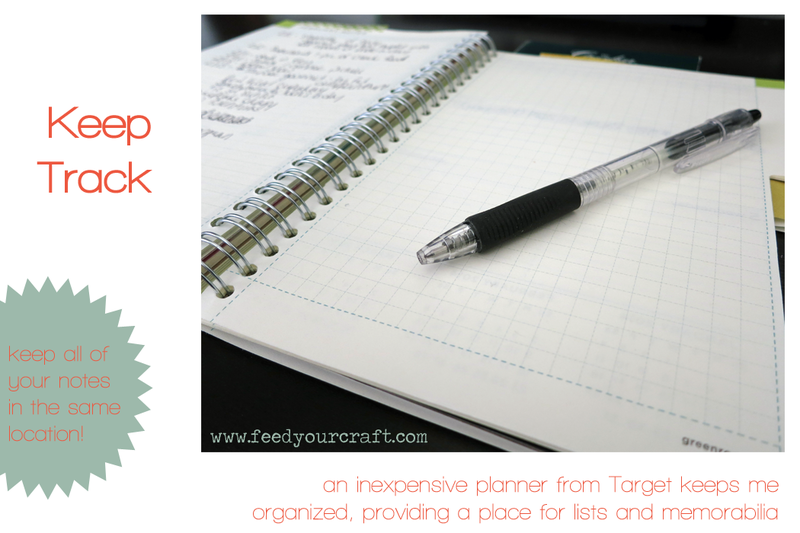 Today I want to share a behind the scenes look at how I stay organized for my monthly Project Life and daily photo pages. This is a somewhat lengthy post, but sometimes another person's perspective can shed light on new tips and tricks. I import all of my photos into Picasa, where they are organized by event in date order. I have an album labeled "To Print" and drag any photos into it that I think I might use for PL. 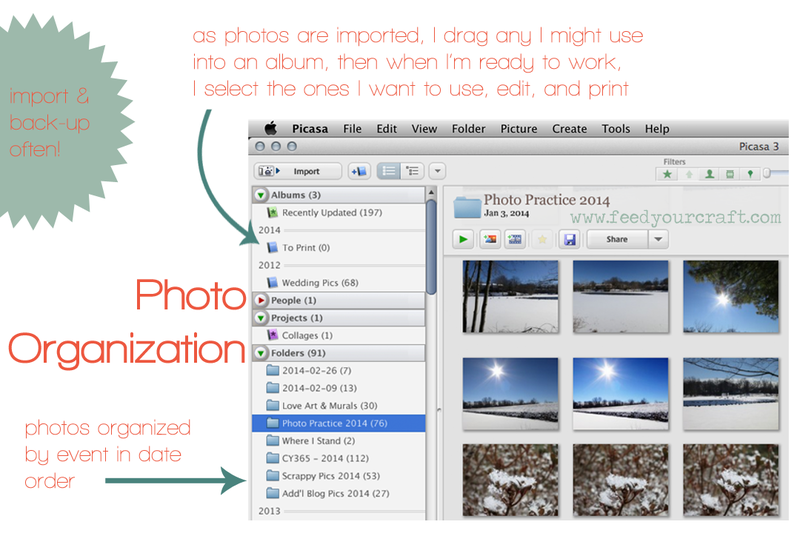 Dragging the photo from a folder into an album creates a copy within Picasa. I make sure I import my photos every few days so that it doesn't pile up. When I'm ready to work on my pages, then I decide which photos will actually be used. Once printed, I delete it from the album, but the original remains in it's folder. I also use Picasa to create collages, most commonly putting two photos onto a 4x6, and for my daily photos, putting 6 on a 4x6. If you're not familiar with this, I have a tutorial that you can read HERE. If I'm going to edit a photo, I do it in Photoshop Elements, usually just a one touch tune-up if the photo was taken indoors under poor lighting conditions. I have purchased 3 core kits and 3 mini kits since I began doing PL last year. That may seem like a lot, but I've sold partial sets of 2 of my core kits and given many others away, so what you see above is all I have. I began subscribing to the PL kit from Studio Calico in January, and love how well it mixes with the cards I have on hand and the printables I've designed. My PL cards are in arms reach, stored in the Antonius basket insert from Ikea, which makes it easy for me to flip through them. It sits open on top of a Sterilite 5-drawer storage cart that I bought at Target. I keep an inexpensive planner from Target on my desk so I have one place to keep track of what we're doing. There are blank pages in each month's section which I use to list dates and events that I may want include in my PL pages, as well as any memorabilia. This way, everything is close by for quick reference as I work. So there you have it, an detailed look as I prepare to work on my Project Life and CY365 pages. I have this post HERE that shows my work area in it's entirety in case you haven't seen it before. If you've written about your organization or other tricks that help you work on your PL, let me know, I'd love to read about it! 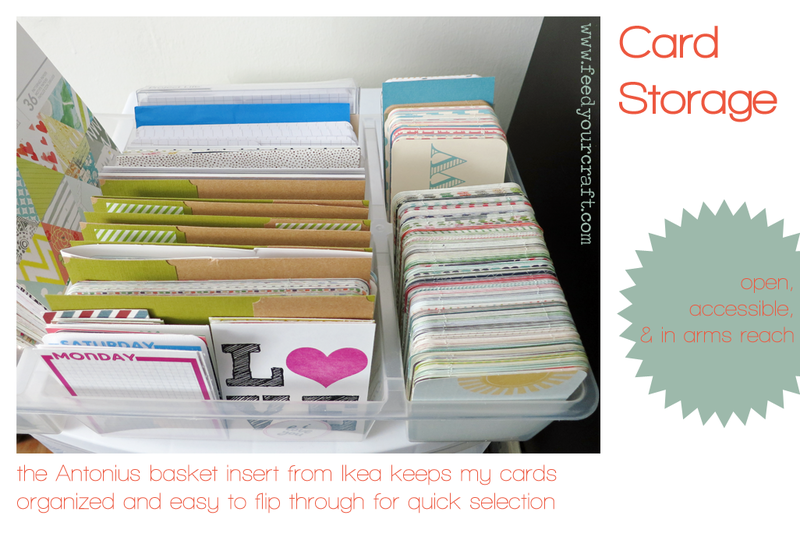 Thank for the organizing tips! Oh, printing the collage does save a lot of money, doesn't it! Very organized and a very professional post. Great post. 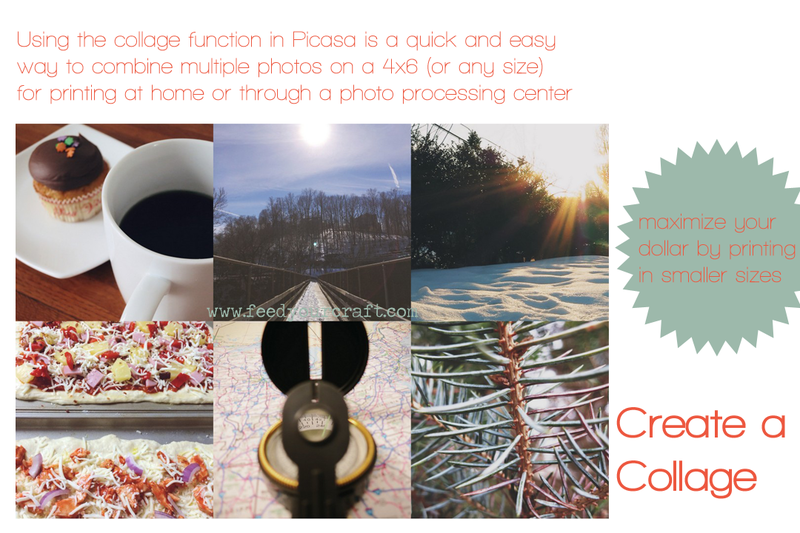 Thanks for sharing the Picasa collage tip! I've been wondering which application people use to do the 6-photo collages on a 4x6 print! Looks like a great way to keep on top of these projects. This is such a great post, I haven't used Picasa before but I think I am going to give it a try. I love your photo organization! I use Picasa and even create collages with it -- but you have just opened up new world of functionality for me. I use Picasa so I will have to try out this collage feature! Picasa confused me. I tried but it was pulling pictures and creating new folders here and there. I just kept everything organized by year, and month. I still can't get PL done. I think, after 3 years of trying that I may just be PL inept. I did just spend the weekend coordinating my many cards by color in those Antonius things. I'm giving it one last shot! I love hearing about others' process ! Thanks for sharing.